My husband passed me this book saying ‘you should have a look at this… it looks right up your street’. 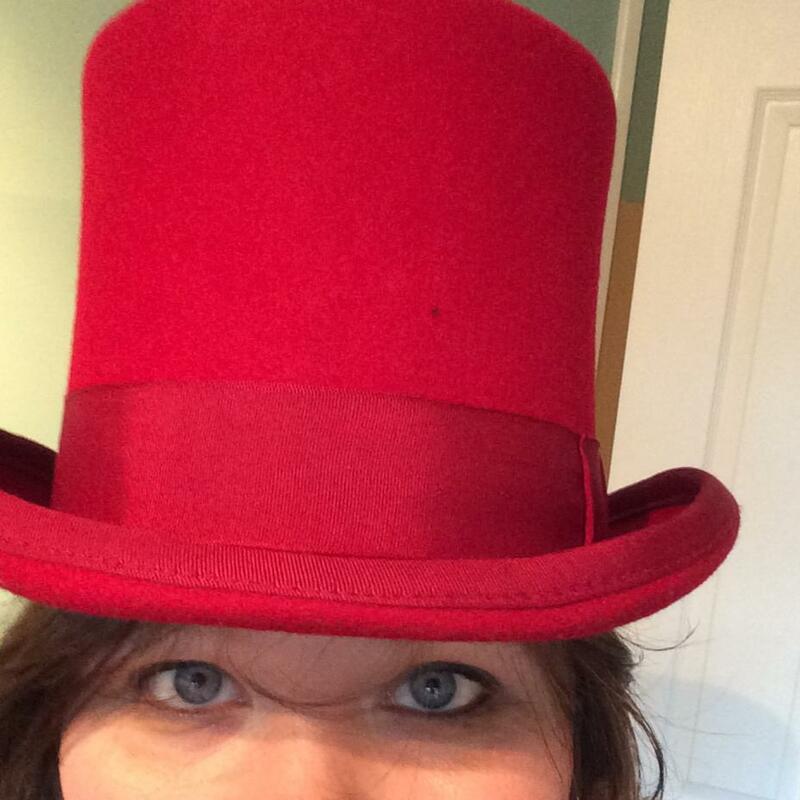 I’m not sure if that had anything to do with my love of powerful people in social history or my perhaps naïve desire to change the world, or maybe the many clichéd sentiments I come out with on a day to day basis. In any case, any book that includes quotes from Gloria Steinem, Eleanor Roosevelt, Susan B Anthony, Mary Wollstonecraft and Maya Angelou is definitely going to get my attention #mykindofheroes. 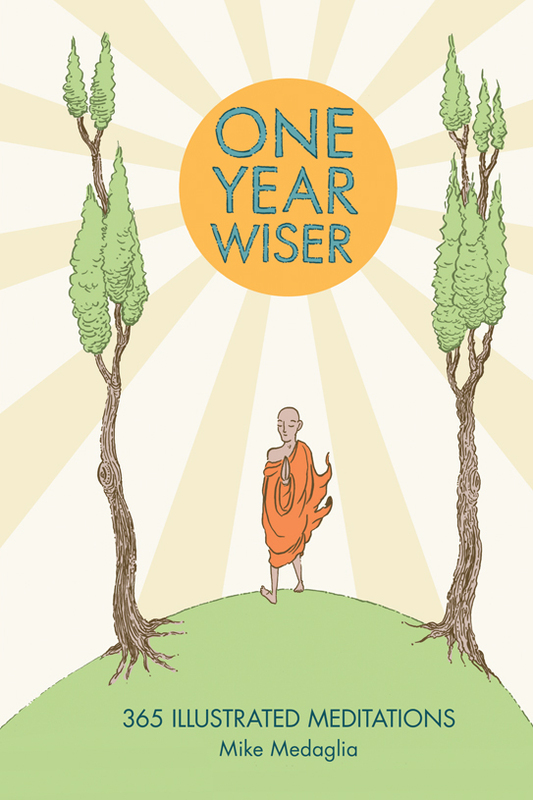 One Year Wiser is a collection of 365 illustrated meditations – the object of which is to provide the reader with a different quote every day for a year to ‘give hope, inspire change, make you laugh and remind you of the richness of life’ and I am pleased to say that it does all four. This is a wonderful book. Each quote is brought to life by Mike Medaglia’s quirky but thoughtful illustrations, with each piece of artwork created in such a way as to mirror the meaning of the quote itself. Many of the quotes in the book I have read before, as I’m sure will be the case with most readers, yet the illustrations helped to give them a new perspective and with that, a new lease of life. I was worried that most of the quotes would be ones you’ve already seen on the front of the type of greetings cards they sell in Paperchase, and although some were, they were in the vast minority. There is just so much to love about this book. None of the 365 quotes feel like fillers, and that must have been quite a challenge for Medaglia when selecting quotes to pull this book together. I think it’s fair to say some of the illustrations have more of an impact than others; some will just pass you by some will hit you right between the eyes or pull on your heart strings. If prints were available I think I would buy at least 50 to fill the walls of my home and office. Some people will undoubtedly flick through this book and dismiss it as sentimental claptrap, but if you read it in the spirit in which it was created I truly think people will get something meaningful out of One Year Wiser. I mean c’mon who isn’t able to learn something or be inspired by the words of Martin Luther King Jr, Anne Frank or Mother Teresa? So whether you use this book to inspire or challenge yourself daily or whether you just flick through it as it lays on the coffee table, I can’t see how it could fail to have an impact on your life. Whether it be legends of the literary world, leaders of social movements or spiritual figures there is something we can learn from them all. I think as I near the end of this review I have figured out why One Year Wiser is ‘right up my street’ – I’m a sentimental optimist who thinks we can all learn from the wisdom and lessons of others to try and become the best versions of ourselves possible and, hopefully, change the world, and this book echoes that sentiment completely. Avoid if you’re a cynical, pessimistic person and grab it if you want positivity to thrive in yourself and your life and – perhaps – just leave it conveniently laying around where a pessimist may find it! I’m already planning on buying a few copies for gifts – hopefully I can play my part in helping to spread the words of inspiration that this book set out to achieve.